OUR VISION: Our vision is a world without Alzheimer’s disease and other dementias. 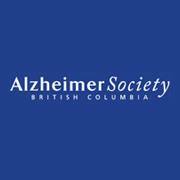 OUR MISSION: The Alzheimer Society of B.C. exists to alleviate the personal and social consequences of Alzheimer’s disease and other dementias, to promote public awareness and to search for the causes and the cure. Cowichan MINDS IN MOTION: Please contact the Nanaimo Resource Centre at 250-734-4171 or 1-888-734-4171. In 1981, a group of caregivers gathered to discuss the challenges of caring for a person diagnosed with Alzheimer’s disease. Out of their compassion and determination, the Society was ultimately founded. From those humble roots, the Society has blossomed into an organization active in communities across the province. 2653 James Street, Duncan, B.C.